This Starfish boutonniere makes the perfect accessory and accent for a destination or beach themed wedding. Simple yet so elegant. Best of all, this will be a treasured keepsake from your wedding that will be treasured always. 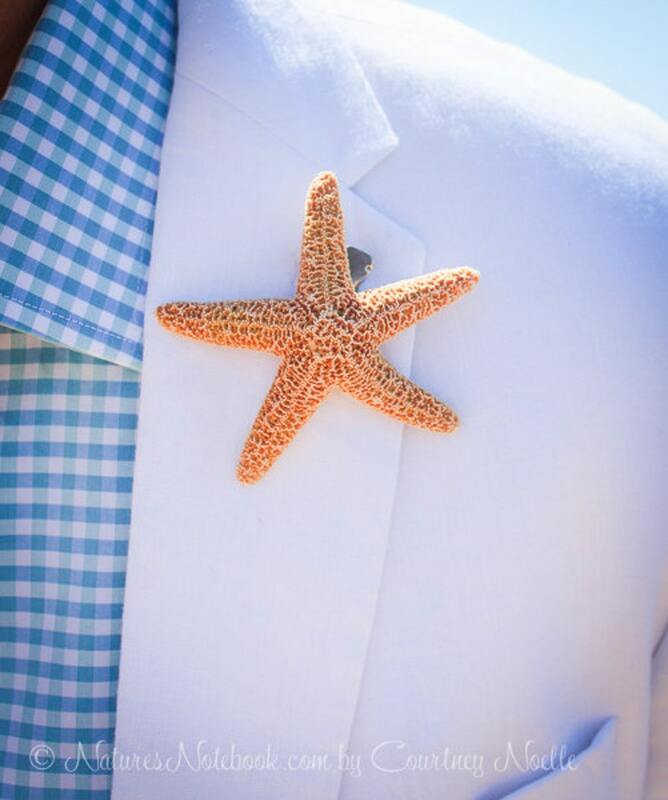 White Finger Starfish - 2.5" - 3"
Comes with silver two-piece fastener securely attached for fixing to your jacket. If you would prefer a clip, (as pictured above) just simply choose "clip" in the choices provided. If you choose a clip as a fastner note that this can be worn as a hair accessory as well.